Unlike Android distribution numbers, which are reliably measured and frequently updated only by Google itself, the adoption rate of a new iOS version is both occasionally confirmed by Apple and routinely tracked in third-party data reports. Companies like Mixpanel thus regularly inflate the numbers of an iOS update compared to Apple’s own stats, although no matter how you look at it, the recent iOS 12 growth rate is simply astounding. 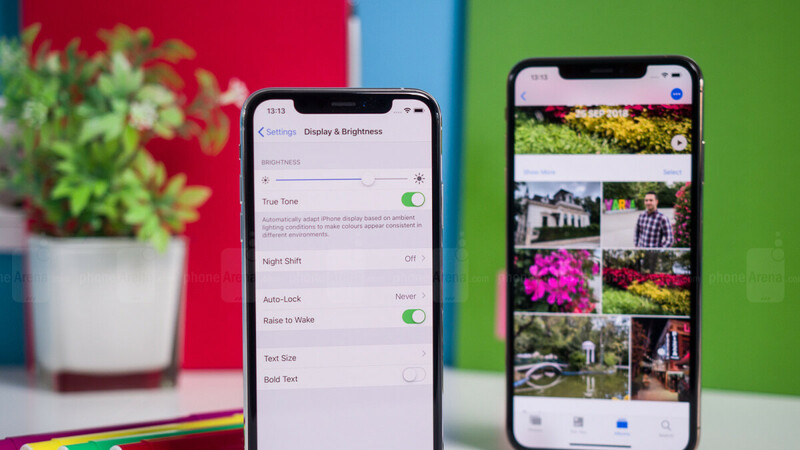 After getting off to a somewhat sluggish start, the device performance and system stability-focused software build expanded rapidly to eligible iPhones and iPads as major bugs pretty much never cropped up. In contrast, iOS 11 brought way more palpable enhancements and substantial feature add-ons to the table last year, driving big adoption numbers initially but significantly slowing down as users started bumping into catastrophic or just really annoying glitches. While “only” 59 percent of active Apple devices ran iOS 11 as of early December 2017, the figure is up to a colossal 70 percent share for iOS 12 in official December 3, 2018 App Store measurements. That’s up a solid 10 percentage points from a little over a month ago, although it’s still not quite as impressive as third-party numbers estimated last week. While it’s obviously not fair (or relevant) to compare that 70 percent slice of the pie with the invisible Android market share of the 9.0 Pie version, it’s also interesting to point out 72 percent of “iDevices” sold in the last four years are already using iOS 12. In case you couldn’t tell how stable and silky smooth iOS 12 is compared to its predecessor, let’s also mention the new platform version has barely received a .0.1 and .1 update until now, while iOS 11.2 was released this time last year, following .0.1, .0.2, .0.3, .1, .1.1, and .1.2 maintenance updates. Bottom line, things are so less messy now. Just 70%, that's all? Apple puts out only one major update a year. Apple controls the hardware & software. Apple has the notification pop up bug you about a new software update when available until you update. So 70%, that's all? Yeah, honestly why does this article have to be posted? Is it really that big of a deal? Yep they spam you multiple times daily. You gotta be pretty tolerant to not just update and get it over with. YES 70% IS JUST MIND BOGGLING!!! Where have you ever heard numbers like that for a major operating system? No where. And the fact that Apple controls their software and hardware has nothing to do with the install rate because they don't forcefully update your device just like Microsoft with Windows thus people have the 100% control over upgrading their phone. People has done it in massive numbers this time because of the fact that how smooth and bug free the iOS 12 has been so far. Stop being a cry baby sad hater all the time and try to grasp even small tiny little things like this. I don't think the number can go up much anymore, those who haven't updated have the device which doesn't support iOS12. Especially with iPads a lot of people use iPads which can't install iOS12 and couldn't install iOS11 either. iOS 12 has proven to be very stable, fast and fun. Yeah so stable that when it encounters a simple bug. eg. calendar date, indian character, or page link - The whole OS crash lmao. iOS 12 is solid, but needs more work. Compared to iOS 11, it’s way more stable and fluid though. Still a little boring, and lacking a few useful features. Considering the update is pushed out by Apple to all devices at once I always thought the adoption rate has been a bit slow. It's better than Android or Windows for sure, but they have different methods of handling updates. Yeah. Feature wise, ios 12 is 2 years behind of android. ios 12 when comparing toe to toe in feature is equivalent to android naugat. You must not have been used iOS since 2016, than. What was the ;) for? It's not like you proved any point, you just posted more nonsense. I use both daily, and nahhhh sonnnn. exactly what was that? why you replied to me? when i replied to koioz who doesn't know anything about iOS or how it works. and yes i proved point that koioz doesn't know anything about iOS. No, that's speculation. You proved nata.